Dechen Dolker, Counselor, Adolescent Family Health Clinic, SNM Hospital, Leh: Present scenario of mental health awareness in Ladakh seems to be in its early stage. People are coming out of the shell to understand mental health and the good sign is that the people are taking benefit from the mental health services provided in the SNM hospital. But there are still many people who are in need of these services but due to ignorance and stigma attached to mental illness isn’t able to get help. It is of great importance that we should educate people about mental health. Healthy body and mind are essential for a happy and healthy life and the duo can’t be ignored. There is a risk of people becoming disabled due to mental illness, also it would be a shame if we cannot help these people to achieve their fullest potential. Mental illness is just like any other physical illness which could be treated either with medication or therapy or both. There is much mental disorder such as depression, anxiety, adjustment disorder, dissociative disorder, panic attack and substance abuse to name a few. And the reasons that I could see for these mental issues are a socioeconomic factor, personality, environmental factor, an increase in stress in life, lack of coping skills and social support in life. Family and friends could be a strength for an individual who goes through a difficult situation thereby decreasing the vulnerability to mental illness and vice versa. Educating the society about mental health will not only benefit the individual but will also help the community as a whole. Thus making everyone know to identify the person who is unable to solve the problem and remain disturbed and further referring to or helping them to get professional help. With the changes in the lifestyle of people, mental illness issues have also increased. 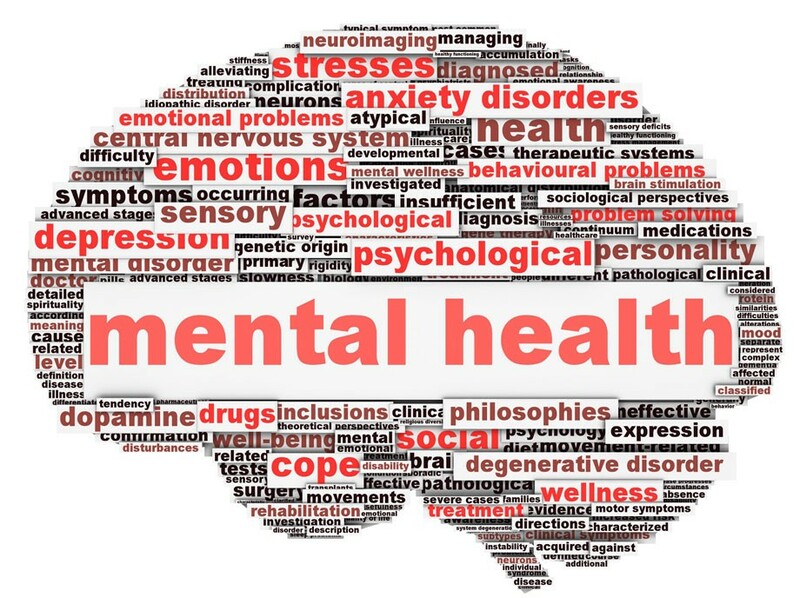 Looking into all aspects of mental health, it has become very important for everyone to know that it can happen to anyone irrespective of colour, gender, caste, and religion. But the same can also be treated with the proper mental health professional help. Unfortunate suicide cases in Ladakh during these few years seem to have been caused due to some mental health issues. Suicide is preventable with more awareness about mental health and accepting it as any other illness and taking professional help. In Ladakh, people do get lots of support during negative mental state from religion, society, family, and friends which is a very good source of strength for anyone but helping them get a mental health professional's service is a must. So I would like to appeal to everyone to offer their support in a way that the population having some mental illness can get professional help at the earliest. At Sonam Norboo Memorial Hospital we have various mental health professionals who offer their services in their respective OPD. And people can get different therapies as per the need which ranges from psychotherapy to drug therapy. As an Adolescent Friendly health clinic counselor, my experience had made me realize that there are many mental health issues faced by the adolescent. The distress faced by the adolescent is often left out because of the stigma, ignorance and a communication gap between parents and teachers. The behavioral issues which are being judged as their tantrums and naughtiness are in many cases an indication of their issues faced but despite understanding it we indulge in making their behavior acceptable which somehow stop us from seeing the main issues of this adolescent population. In the context of substance abuse either because of ignorance or for the honor of family many people try to hide it. It is becoming an alarming issue in Ladakh where our children are getting substance abuse. It is the responsibility of each and every member of our society to help this adolescent get out of it as soon as possible without labeling them. Professional help is a must to make them share their distress which will be kept confidential and can work out either individually or with family to give them the best possible therapies. Confidentiality is one of the most important things to look into. So anyone coming for therapy should know that without their consent the personal information will not be revealed to anyone. It is never going to help if we ignore rather discussion is must understand the problem. And when the general public is aware of the mental health and sees it as any other illness, people will stop gossiping about others regarding what is going around in their life and labeling them with names. Ghulam Mohd, Nadvi, Imam Jamia Masjid, Leh: Life seems to be a tangible reality, and yet it is a delusion. Every minute is precious. One must not live in confusion but must realize self. A person is said to be healthy only when he or she is physically, mentally and spiritually fit which are paradoxically important. The youth of Ladakh is losing mental fitness day by day because of many issues such as unemployment, poor education system, socio-economic conditions and last but not the least over expectation of parents from their children. Parents educate their children but the goal is a mere social status, money, employment. The system of education is weak in the whole valley not only in Ladakh. As a result, students are left with huge school bags and syllabus full of confusions and non-competent teachers. Poor and lesser government schemes in every field had led our children to frustration, smoking, suicide and have become rebellious. It is very much important to fight against these factors because all of them lead to mental stress and our future i.e. the youth will be mentally ill. So, by all these complicated factors we are ruining the future of the youth. One must concentrate on real self, not on the body which is nothing but a garment. As our Prophet, Hazarat Mohammad (SAW) said that it is not permissible for anyone to commit suicide, who so ever does the same he would be punished on the Day of Judgment. In other narration (narrated by Abu Hurairah (R.A) said by the Prophet anyone who commits suicide by jumping off the mountains will always fall in hell. In the same manner, if a person takes poison or uses weapons made from Iron to kill self will be cursed to perform the same in hell forever. Prophet never performs Salatal -Janazah (funeral prayers) to a person who ends their life by his/her own will. • Educating parents on how to handle their children in every situation. • Education system needs to be improved. • Proper and sufficient government schemes.